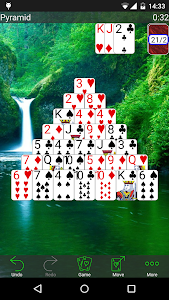 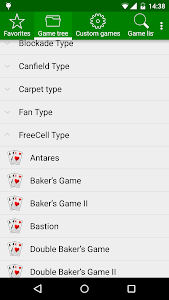 The collection contains favorite solitaire games such as Freecell, Klondike, Canfield, Golf, Spider, Scorpion, Pyramid, Tri-Peaks, and others, as well as a lot of original games. 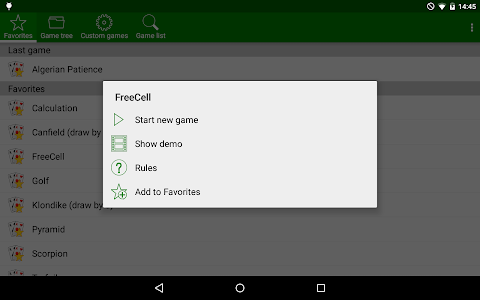 For each game, there is a demo. 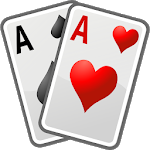 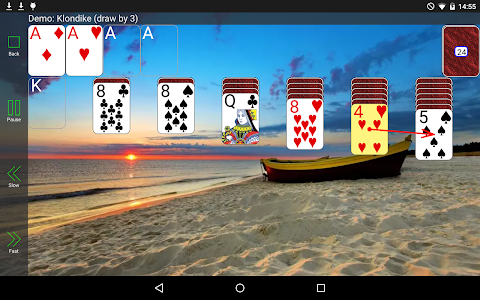 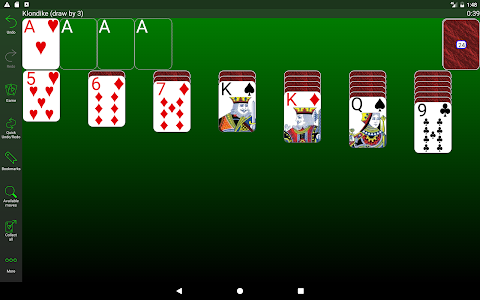 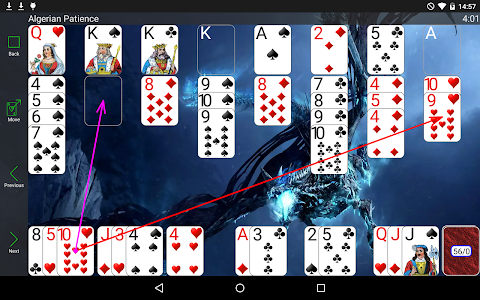 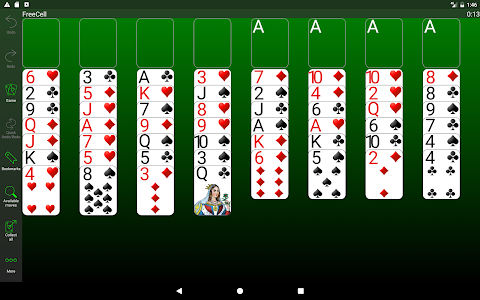 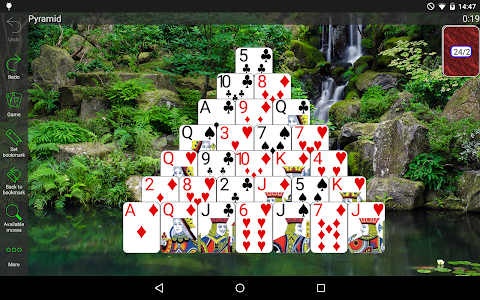 You can view playing card games demo with a step-by-step solitaire guide. 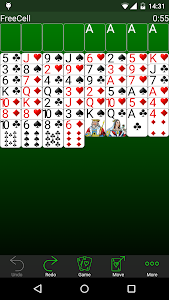 So trying new solitaire games will never be a challenge again. 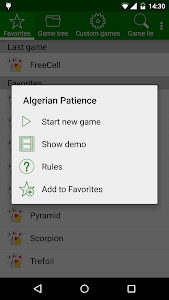 This free solitaire app has a text description of the rules for each patience game. 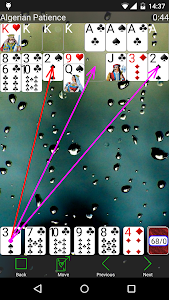 Rules describe a game purpose, foundation and tableau piles, stock regulations and placement. 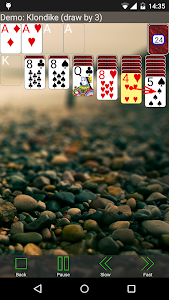 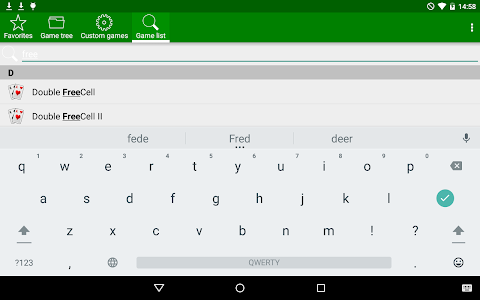 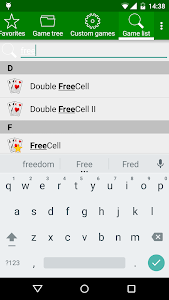 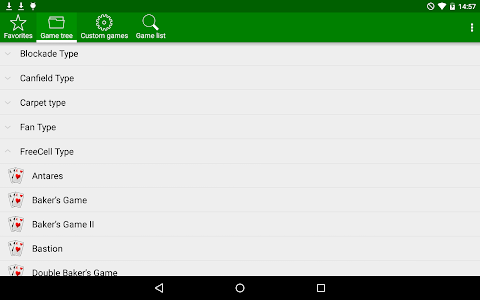 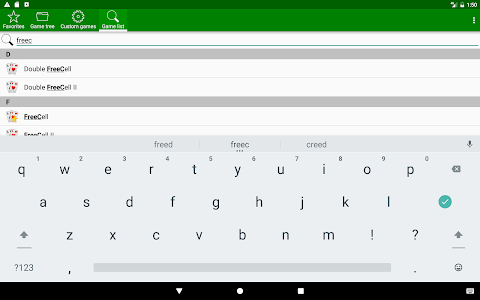 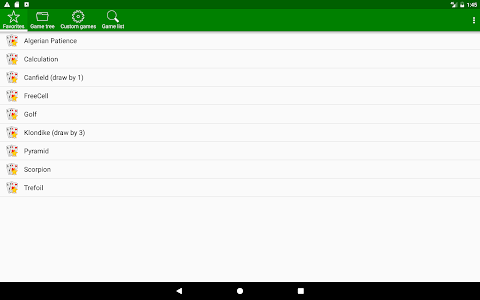 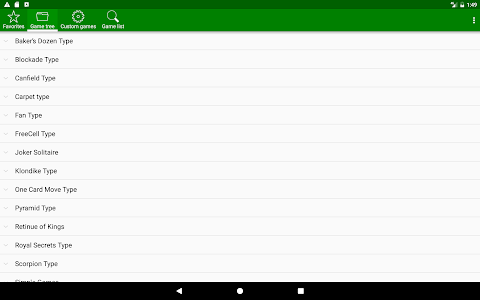 You can modify the rules of most solitaire games. 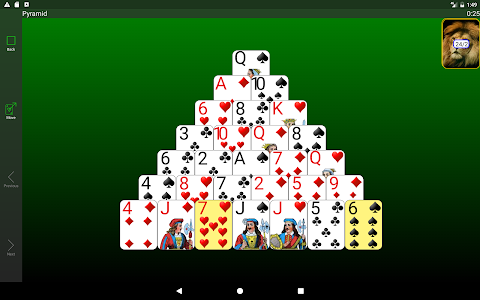 Also, you create a new solitaire game of types: Freecell, Klondike, Algerian Patience, Scorpion, Canfield, Pyramid, and Golf. 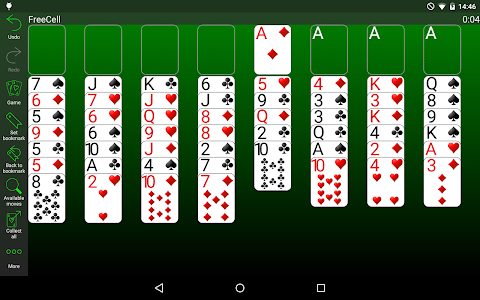 Similar to "250+ Solitaire Collection"